I got the packing finished today. Everything. I had exactly the right number and sizes of boxes on hand and enough paper to get the job done. 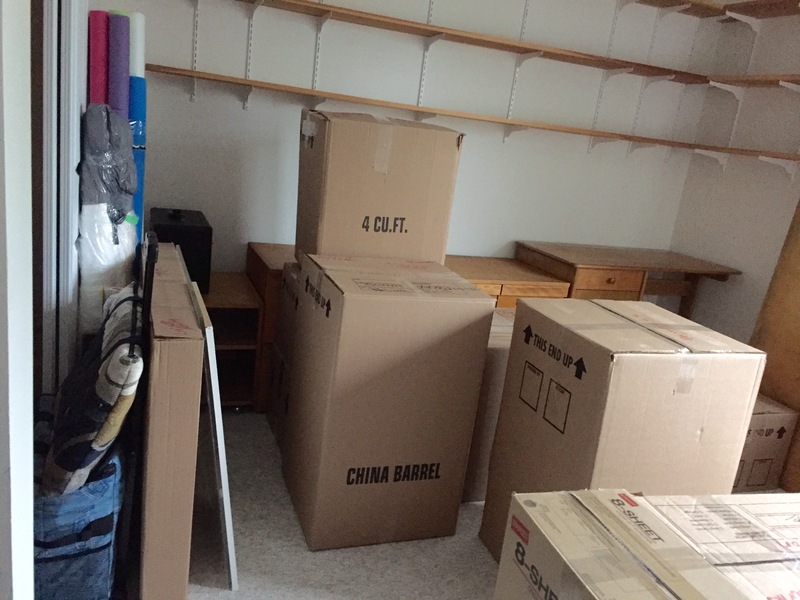 I had help – two friends came over and worked with me boxing all the kitchen stuff – dishes, cutlery, glassware, pots-pans, baking things, pantry, plastic containers… Took three hours. 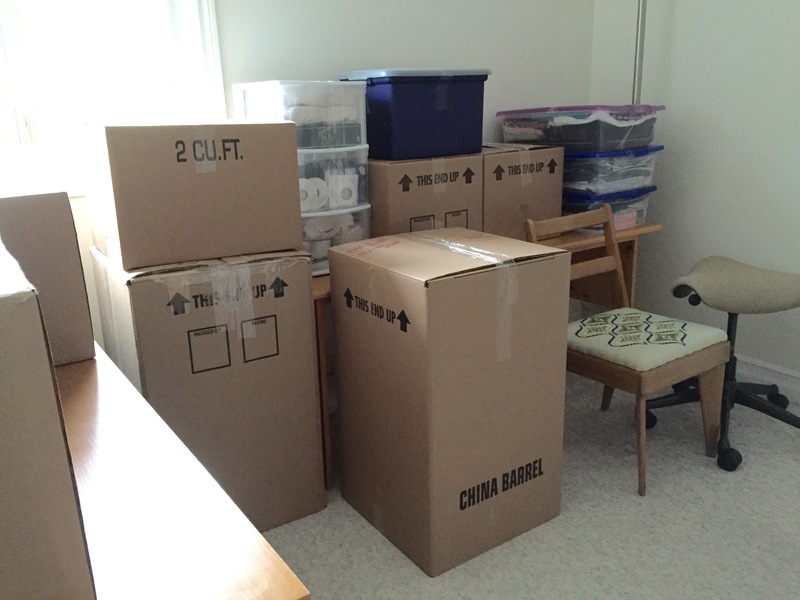 Every other room the same – boxes stacked everywhere. Tomorrow, I’ll gather what I need for the three weeks I’m homeless. Then Tuesday morning the movers arrive to take it all to storage. The next three weeks will go quickly – I’ve got knitting with me and several novels on my phone to help me pass the time. It’ll be August 3 before I know it and then it’s the whole process in reverse!